CEBU CITY — Former PBA guard Eliud Poligrates is in hot water after he and seven others were sued by two men for physical injuries which they incurred during an altercation back in October on the island of Camotes. 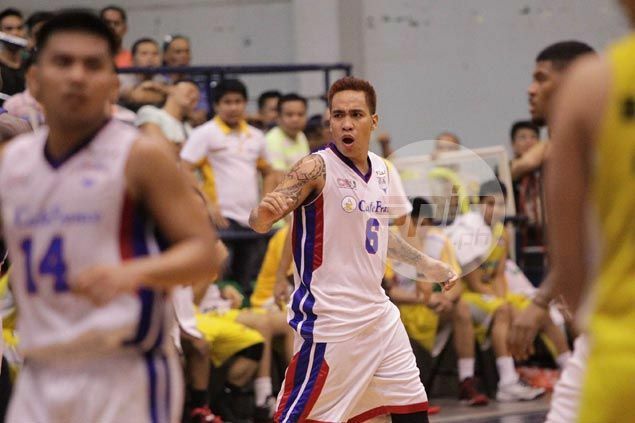 Poligrates, a local basketball hero who last played in the PBA in 2015 for the Kia (now Mahindra), was said to be part of the group that figured in a brawl with another group during a shindig at a town fiesta. In a talk on Thursday morning, Poligrates did not deny the allegations and said that they tried to sit down and negotiate a settlement with the plaintiffs, but the latter refused. “We were willing to negotiate a settlement but they weren’t, so I guess we will just get a lawyer ourselves and face this in court,” said the heavily-tattooed guard from the town of Poro who started to make a name for himself here while playing for Soutwestern University. Poligrates narrated that he and his group were already on their way home when they were confronted by a group who alleged that a member of the cager’s group had burnt a member of theirs with a cigarette. “I told them to point that person out to me and I will personally slap him in front of you,” said Poligrates. When they weren’t able to, Poligrates said that that’s when the fisticuffs started. Not long after, he suited for several teams in the defunct Liga Pilipinas before finally finding his niche in the PBA D-League. He eventually got picked by Talk 'N Text during the 2013 PBA Rookie Draft and has also played for Air21 Express, NLEX and finally, Kia. He also played for Euro-Med in the Pilipinas Commercial Basketball League (PCBL) earlier this year.